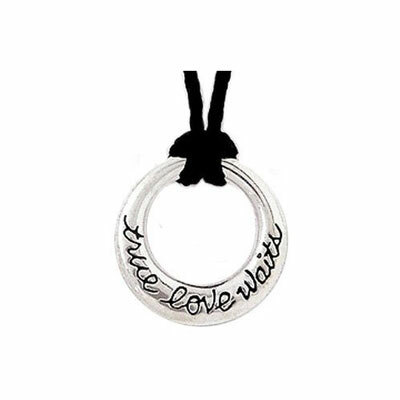 Made from sterling silver, this pendant features a circular design inscribed with "True Love Waits". 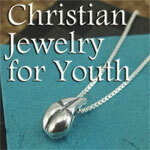 Powerful purity statement is engraved on classic 0.50" sterling ring pendant with 24" smooth black cord. Black velvet gift pouch holds both pendant and gift card explaining the importance of celebrating God's priceless gift of purity. I Corinthians 6:18-20.